Many of the writings are issued under a Creative Commons Attribution NonCommercial-NoDerivatives License and therefore can be freely copied and distributed, according to the terms of that license. The pdf files of several of the books in the above ‘commercially licensed’ list – for example, the Antigone translation – have been slightly revised in order to correct typos. As I mentioned several years ago, I reject and disown all my pre-2011 writings and effusions, with the exception of my Greek translations, the poetry included in the published collection One Exquisite Silence (also published under the title Relict), some private letters written between 2002 and 2011, and those few items about my since much revised ‘numinous way’ which are included in post-2012 publications such as my The Numinous Way of Pathei-Mathos. 190 pages. 2017. A Translation of and Commentary on eight tractates of the Corpus Hermeticum. Tractate VIII. Ὅτι οὐδὲν τῶν ὄντων ἀπόλλυται ἀλλὰ τὰς μεταβολὰς ἀπωλείας καὶ θανάτους πλανώμενοι λέγουσιν. That no beings are lost, despite mortals mistakenly claiming that such transformations are death and a loss. Tractate XII. Περὶ νοῦ κοινοῦ πρὸς Τάτ. To Thoth, Concerning Mutual Perceiveration. 93 pages. Fifth Edition, 2018. 2 The Way of Pathei-Mathos – A Philosophical Compendium. 3 Some Personal Musings On Empathy. 4 Enantiodromia and The Reformation of The Individual. 5 Society, Politics, Social Reform, and Pathei-Mathos. 6 The Change of Enantiodromia. 7 The Abstraction of Change as Opposites and Dialectic. Appendix I – The Principle of Dika. Appendix II – From Mythoi To Empathy: A New Appreciation Of The Numinous. Appendix III – Towards Understanding Ancestral Culture. Appendix IV – The Concept of Physis. Appendix V – Notes on Aristotle, Metaphysics, Book 5, 1015α. Appendix VI – Notes on Heraclitus Fragment 1. Appendix VII – Glossary of Terms and Greek Words. Letters and essays – some autobiographical in nature – concerning religion, redemption, expiation, and humility, and relating to the numinous way – the philosophy – of pathei-mathos. II Questions of Good, Evil, Honour, and God. IV Fifty Years of Diverse Peregrinations. A study in the difference between Christianity and the paganism of Ancient Greece and Rome, evident as that paganism is in the writings of Homer, Aeschylus, Sophocles, Cicero and many other classical authors. A study which includes developing that paganism in a metaphysical way, beyond the deities of classical mythos, thus making such paganism relevant to the modern Western world. A modern development which involves an analysis of the texts of the Corpus Hermeticum. Since the religion termed Christianity has, for over six centuries, been influential in respect of the ethos and spirituality of the culture of the West – often to the extent of having been described as manifesting that ethos and that spirituality – one of the metaphysical questions I have saught to answer over the past forty years is whether that religion is, given our thousands of years old human culture of pathei-mathos, a suitable presencing of the numinous. If it is not, then could that religion be reformed, by developing a Johannine Weltanschauung given that the Gospel According to John – τὸ κατὰ Ἰωάννην εὐαγγέλιον – arguably presents a somewhat different perspective on the life and teachings of Jesus of Nazareth than the three other synoptic Gospels. Would such a reformation be a suitable presencing of the numinous, and if not, then what non-Christian alternatives – such as a paganus metaphysics – exist, and what is the foundation of such an alternative? This essay presents my answers to such questions and thus compliments my book Classical Paganism And The Christian Ethos. Also available: Works About DWM And Edited Anthologies. A collection of essays providing an introduction to my philosophy of pathei-mathos. I. A Modern Mystic: David Myatt And The Way of Pathei-Mathos. II. A Modern Pagan Philosophy. III. Honour In The Philosophy Of Pathei-Mathos. Part One: Anti-Racism, Extremism, Honour, and Culture. Part Two: Humility, Empathy, and Pathei-Mathos. Appendix. 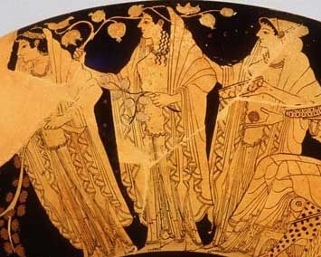 A Note On Greek Terms In The Philosophy Of Pathei-Mathos. ° Such Respectful Wordful Offerings: Selected Essays Of David Myatt. ° A Catholic Still, In Spirit? Appendix VI – Self-Dramatization, Sentimentalist, Or Chronicler Of Pathei Mathos? Given that the religion termed Christianity has, for over six centuries, been influential in respect of the ethos and spirituality of the culture of the West – often to the extent of having been described as manifesting that ethos and that spirituality – one of the metaphysical questions I have saught to answer over the past forty years is whether that religion is, given our thousands of years old human culture of pathei-mathos, a suitable presencing of the numinous. If it is not, then could that religion be reformed, by developing a Johannine Weltanschauung given that the Gospel According to John – τὸ κατὰ Ἰωάννην εὐαγγέλιον – arguably presents a somewhat different perspective on the life and teachings of Jesus of Nazareth than the three other synoptic Gospels. Would such a reformation be a suitable presencing of the numinous, and if not, then what non-Christian alternatives – such as a paganus metaphysics – exist, and what is the foundation of such an alternative? This essay thus compliments my book Classical Paganism And The Christian Ethos. As in that book, I have made extensive use of my translations of certain classical authors and of various hermetic texts as well as the Gospel of John, and given that those translations are currently quite accessible I have not except on a few occasions explained my interpretations of certain Greek or Latin terms since those interpretations are explained in the associated commentaries. As noted elsewhere, I prefer the term paganus – a transliteration of the classical Latin, denoting as it does connection to Nature, to the natural, more rural, world – in preference to ‘pagan’ since paganus is, in my view and in respect of the Greco-Roman ethos, more accurate given what the term ‘pagan’ now often denotes. 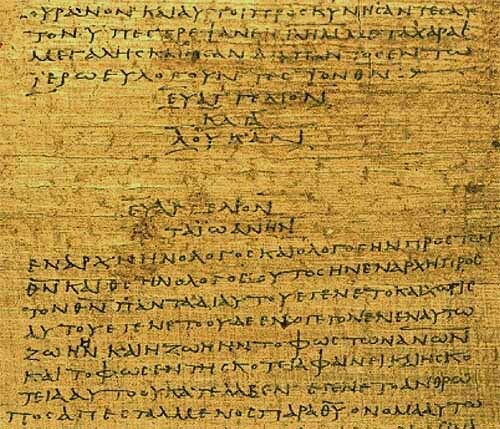 The title of the essay, Tu Es Diaboli Ianua – “You Are The Nexion Of The Deofel”, literally, “You are nexion Diabolos ” – is taken from Tertullian’s De Monogamia, written at the beginning of the second century AD. The pdf file below contains the second edition of my book Classical Paganism And The Christian Ethos and supersedes previously issued extracts and editions. 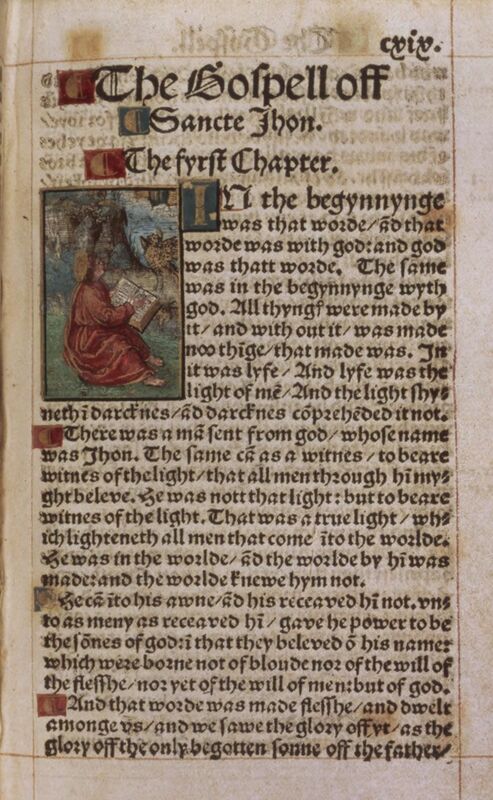 The text was last revised on 17.xi.17. 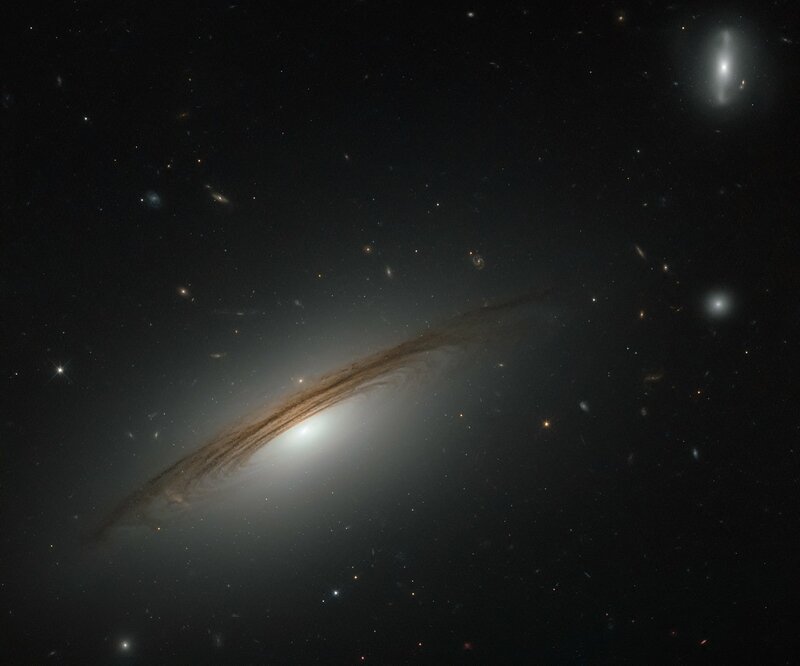 Galaxy UGC 12591. NASA, ESA, Hubble Space telescope. The following works of mine – in addition to being available as gratis Open Access pdf files, qv. Opera Omnia – are currently (2017) available as printed books. N.B. All the books are 11 inches x 8.5 inches in format, which is somewhat larger than the conventional ‘trade paperback’. In terms of number of pages, add 20+ pages for each book listed below for the approximate number of pages in a standard 6 inches by 9 inches paperback. A Translation of and Commentary on eight tractates of the Corpus Hermeticum. Tracate VIII. Ὅτι οὐδὲν τῶν ὄντων ἀπόλλυται ἀλλὰ τὰς μεταβολὰς ἀπωλείας καὶ θανάτους πλανώμενοι λέγουσιν. That no beings are lost, despite mortals mistakenly claiming that such transformations are death and a loss. In the Notes section to the appendix, note  should be deleted. Note  should read:  See Appendix IV, below, and also my Personal Reflexions On Some Metaphysical Questions. The remaining bracketed numbers in the Notes section should be renumbered consecutively, ending with:  Time And The Separation Of Otherness – Part One. 2012. A collection of four essays providing an introduction to the philosophy of pathei-mathos. Nota Bene: This chapter (which is subject to revision) complements Volume I of my translation – chapters 1-4 – which was published in July 2017 (ISBN 978-1548913670). Volume II – containing chapters 5-10 – is scheduled for publication in 2018. Image credit: Papyrus Bodmer XIV-XV (P75). c. 175-225 CE. As my translation of and commentary on the Gospel According To John so very slowly progresses  what I am (re)discovering is how different the ‘way of Jesus of Nazareth’ – as presenced in and by that particular Gospel over two thousand years ago – seems to me to be from what has so often been preached by so many and for so long regarding that religion which has become known as Christianity, dependant as such preaching so often is and has been on interpretations, and translations, of the Greek texts that form the ‘New Testament’. What emerges from my own translation – that is, from my particular ‘interpretation of meaning’ of the Gospel According To John – is rather reminiscent of what individuals such as Julian of Norwich, George Fox, and William Penn wrote and said about Jesus and the spiritual way that the Gospels in particular revealed. This is the way of humility, of forgiveness, of love, of a personal appreciation of the divine, of the numinous; and a spiritual, interior, way somewhat different from supra-personal moralistic interpretations based on inflexible notions of ‘sin’ and thus on what is considered ‘good’ and what is considered ‘evil’. Similarly in respect of other verses where πιστεύω occurs, so that the impression is of the necessity of believing, of having or acquiring faith. Theos so loved the world that he offered up his only begotten son so that all those trusting in him would not perish but might have life everlasting. Not only is this personal, direct – as in personally trusting someone as opposed to a ‘blind believing’ – but there are no prior hermeneutic assumptions about ‘God’, derived as such assumptions are from over two thousand years of scriptural exegesis and preaching. Theos so loved the world that he offered up his only begotten son so that all those trusting in him would not perish but might have life everlasting. For Theos did not dispatch his son to the world to condemn the world, but rather that the world might be rescued through him. Whosoever trusts in him is not condemned while whomsoever does not trust is condemned for he has not trusted in the Nomen of the only begotten son of Theos. God so loved the world, that he gave his only begotten Son, that whosoever believeth in him should not perish, but have everlasting life. For God sent not his Son into the world to condemn the world; but that the world through him might be saved. He that believeth on him is not condemned: but he that believeth not is condemned already, because he hath not believed in the name of the only begotten Son of God. And this is the condemnation, that light is come into the world, and men loved darkness rather than light, because their deeds were evil. For every one that doeth evil hateth the light, neither cometh to the light, lest his deeds should be reproved. But he that doeth truth cometh to the light, that his deeds may be made manifest, that they are wrought in God. Following this, there was a Judaean feast and Jesus went to Jerusalem. And there is in Jerusalem by the place of the sheep a pool, named in the language of the Hebrews as Bethesda, which has five colonnades in which were a large number of the infirm – the blind, the limping, the withered – awaiting a change in the water since on occasion an Envoy of Theos descended into the pool, stirring the water, and whomsoever after that stirring of the water was first to enter became complete, the burden of their affliction removed. And, directly, the man became complete, took up his bedroll and walked around. And it was the day of the Sabbath. But the healed one did not know, for there was a crowd there with Jesus having betaken himself away. After this there was a feast of the Jews; and Jesus went up to Jerusalem. Now there is at Jerusalem by the sheep market a pool, which is called in the Hebrew tongue Bethesda, having five porches. In these lay a great multitude of impotent folk, of blind, halt, withered, waiting for the moving of the water. For an angel went down at a certain season into the pool, and troubled the water: whosoever then first after the troubling of the water stepped in was made whole of whatsoever disease he had. And a certain man was there, which had an infirmity thirty and eight years. When Jesus saw him lie, and knew that he had been now a long time in that case, he saith unto him, Wilt thou be made whole? The impotent man answered him, Sir, I have no man, when the water is troubled, to put me into the pool: but while I am coming, another steppeth down before me. Jesus saith unto him, Rise, take up thy bed, and walk. And immediately the man was made whole, and took up his bed, and walked: and on the same day was the sabbath. The Jews therefore said unto him that was cured, It is the sabbath day: it is not lawful for thee to carry thy bed. He answered them, He that made me whole, the same said unto me, Take up thy bed, and walk. Then asked they him, What man is that which said unto thee, Take up thy bed, and walk? And he that was healed wist not who it was: for Jesus had conveyed himself away, a multitude being in that place. Afterward Jesus findeth him in the temple, and said unto him, Behold, thou art made whole: sin no more, lest a worse thing come unto thee. The man departed, and told the Jews that it was Jesus, which had made him whole. The first example seems to me to be revealing of the personal nature of the ‘way of Jesus of Nazareth’ – of a personal trust in a particular person, in this instance a trust in Jesus because of how he and his life are recounted by the Evangelist – contrasting with a rather impersonal demand to believe, to have faith, based on doctrine as codified by someone else or by some organized regulatory and supra-local hierarchy. The second example seems to me to be revealing of the contrast between the then organized supra-personal religion of the Judaeans – with its doctrinal forbiddance, sometimes on pain of death, of certain personal deeds – and the empathy and compassion of an individual, as evident in Jesus in the immediacy of the moment healing a long-suffering infirm man and bidding him to take up and carry his bedroll, undoubtedly aware as Jesus was that he was doing and inciting what was forbidden because for him empathy and compassion were more important than some established doctrine. Volume I (chapters 1-4) of my translation of and commentary on the Gospel According To John was published in July 2017 (ISBN 978-1548913670) with volume II (chapters 5-10) scheduled for publication in 2018. A (slightly edited) extract from my commentary on John 3:16-21. ° Nomos. νόμος. A transliteration since as with ‘logos’ a particular metaphysical principle is implied and one which requires contextual interpretation; a sense somewhat lost if the English word ‘law’ is used especially given what the word ‘law’ often now imputes. ° Phaos. Given that φάος metaphorically (qv. Iliad, Odyssey, Hesiod, etcetera) implies the being, the life, ‘the spark’, of mortals, and, generally, either (i) the illumination, the light, that arises because of the Sun and distinguishes the day from the night, or (ii) any brightness that provides illumination and thus enables things to be seen, I am inclined to avoid the vague English word ‘light’ which all other translations use and which, as in the case of God, has, in the context of the evangel of Jesus of Nazareth, acquired particular meanings mostly as a result of centuries of exegesis and which therefore conveys or might convey something that the Greek word, as used by the author of this particular Greek text, might not have done. Hence my transliteration – using the Homeric φάος instead of φῶς – and which transliteration requires the reader to pause and consider what phaos may, or may not, mean, suggest, or imply. As in the matter of logos, it is most probably not some sort of philosophical principle, neo-Platonist or otherwise. ° For their deeds were harmful. ἦν γὰρ αὐτῶν πονηρὰ τὰ ἔργα. Harmful: that is, caused pain and suffering. To impute to πονηρός here the meaning of a moral abstract ‘evil’ is, in my view, mistaken. Similarly with the following φαῦλος in v.20 which imparts the sense of being ‘mean’, indifferent. Since the Phaos is Jesus, those who are mean, those who do harm, avoid Jesus because (qv. 2.25) he – as the only begotten son of Theos – knows the person within and all their deeds. Thus, fearing being exposed, they avoid him, and thus cannot put their trust in him and so are condemned and therefore lose the opportunity of eternal life. ° whomsoever practices disclosure. ὁ δὲ ποιῶν τὴν ἀλήθειαν. Literally, ‘they practising the disclosing.’ That is, those who disclose – who do not hide – who they are and what deeds they have done, and who thus have no reason to fear exposure. Here, as in vv.19-20, the meaning is personal – about the character of people – and not about abstractions such as “evil” and “truth”, just as in previous verses it is about trusting in the character of Jesus. Hence why here ἀλήθεια is ‘sincerity’, a disclosing, a revealing – the opposite of lying and of being deceitful – and not some impersonal ‘truth’. Note how Jesus does not disapprovingly preach about – does not even mention – the apparently superstitious practice of infirm individuals waiting by a ‘miraculous’ pool in order to be cured. A (slightly edited) extract from my commentary on John 5:1-16. ° the place of the sheep. Since the Greek προβατικός means “of or relating to sheep” and there is no mention of a ‘gate’ (or of anything specific such as a market) I prefer a more literal translation. It is a reasonable assumption that the sheep were, and had in previous times been, kept there prior to being offered as sacrifices, as for example sheep are still so held in particular places in Mecca during Eid al-Adha, the Muslim feast of sacrifice. 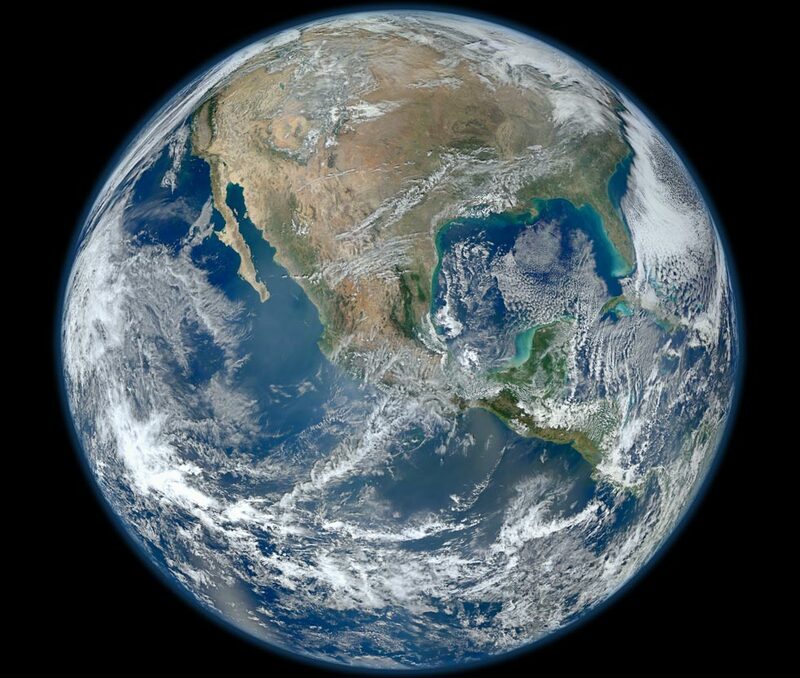 ° named in the language of the Hebrews. ἐπιλεγομένη Ἑβραϊστὶ. ° the infirm. The Greek word ἀσθενέω implies those lacking normal physical strength. ° awaiting a change in the water. Reading ἐκδεχομένων τὴν τοῦ ὕδατος κίνησιν with the Textus Receptus, omitted by NA28, but included in ASV, Tyndale, and Wycliffe. ° Envoy of Theos. Reading άγγελος γάρ κυρίου κατά καιρών κατέβαινεν (qv. Cyril of Alexandria, Commentary on John, Book II, V, 1-4, Migne Patrologia Graeca 73) and ἐν τῇ κολυμβήθρᾳ, καὶ ἐτάρασσεν τὸ ὕδωρ· ὁ οὖν πρῶτος ἐμβὰς μετὰ τὴν ταραχὴν τοῦ ὕδατος, ὑγιὴς ἐγίνετο, ᾧ δήποτε κατειχετο νοσήματι with the Textus Receptus. The verse is omitted by NA28, but included in ASV, Tyndale, and Wycliffe. a) envoy. As noted in the commentary on 1:51, interpreting ἄγγελος as ‘envoy’ (of theos) and not as ‘angel’, particularly given the much later Christian iconography associated with the term ‘angel’. b) Theos. Regarding άγγελος γάρ κυρίου, qv. Matthew 28.2 ἄγγελος γὰρ κυρίου καταβὰς ἐξ οὐρανοῦ, “an envoy of [the] Lord/Master descended from Empyrean/the heavens.” Since here κύριος implies Theos (cf. John 20.28 where it is used in reference to Jesus), an interpretation such as “envoy of Theos” avoids both the phrase “envoy of the Master” – which is unsuitable given the modern connotations of the word ‘master’ – and the exegetical phrase “angel/envoy of the Lord” with all its associated and much later iconography both literal, by means of Art, and figurative, in terms of one’s imagination. An alternative expression would be “envoy of the Domine,” with Domine (from the Latin Dominus) used in English as both a respectful form of address and as signifying the authority of the person or a deity. c) became complete. ὑγιὴς ἐγίνετο. The suggestion is of the person becoming ‘whole’, complete, sanus, and thus ceasing to be ‘broken’, incomplete, infirm. ° bedroll. κράβαττος (Latin, grabatus) has no suitable equivalent in English since in context it refers to the portable bed and bedding of the infirm. The nearest English approximation is bedroll. ° And, directly, the man became complete. καὶ εὐθέως ἐγένετο ὑγιὴς ὁ ἄνθρωπος. Metaphysically, the Evangelist is implying that ‘completeness’ – wholeness – for both the healthy and the infirm (whether infirm because of sickness or a physical infirmity) arises because of and through Jesus. ° treated. Taking the literal sense of θεραπεύω here. Hence: cared for, treated, attended to. As a healer or a physician might care for, treat, or attend to, someone. ° no more missteps. μηκέτι ἁμάρτανε. That is, make no more mistakes in judgement or in deeds. Qv. the Introduction [to Volume I of the translation] regarding translating ἁμαρτία in a theologically neutral way as ‘mistake’ or ‘error’ instead of by the now exegetical English word ‘sin’. Cf. 1.29, 8.7, et seq. ° harass. διώκω. Cf. the Latin persequor, for the implication is of continually ‘following’ and pursuing him in order to not only try and worry or distress him but also (as becomes evident) to find what they regard is evidence against him in order to have him killed, qv. 5.18, 7.1, 7.19 et seq.